Rafa Benitez has revealed how he missed out on signing Aaron Ramsey when manager at Liverpool. As a 17-year-old at Cardiff City, Ramsey attracted interest from a host of Premier League clubs - including Manchester United, Everton and the Anfield-club. However, the Welshman opted for a £4.8million move to Arsenal after the Gunners paid to fly Ramsey out to Switzerland for face-to-face talks with Arsene Wenger. Twelve years on, Ramsey is set to become the highest-paid British footballer this summer after agreeing to join Juventus on a free transfer. Ramsey is just one of many players Benitez has failed to land since stepping into management. 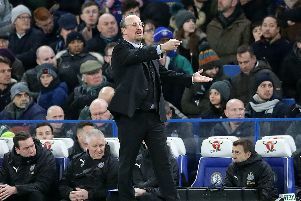 Benitez said: "I can tell you in all my teams, in all my years, I can give you five players from each team that I looked at from when I was at Extremadura to now. "Everyone has players you are interested in but you cannot always land them, or another club is quicker than you. "At Liverpool we had Ramsey, and he went to Arsenal." 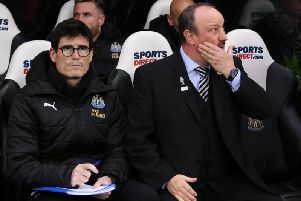 It is no secret that Benitez has failed to land players at Newcastle, most of which fuels criticism of owner Mike Ashley. But as the Magpies prepare to face Leicester City this evening, one name in particular has been mentioned. While Harry Maguire was on Benitez’s radar in 2017 before his £17m switch to the Foxes, James Maddison also appeared on United’s wishlist during his Norwich City days. But at £22m, under Ashley, is a fee that was always going to raise eyebrows. He added: "We were watching a lot of players. I can give you a lot of names and you can say, “Oh, you lost this player”.